Earlier this year I interviewed Roberta Lipson, CEO and Chair of United Family Hospitals (UFH). To learn more about the premium healthcare network, I visited its headquarters in Beijing and spoke to the core team of executives, Western and Chinese, who established UFH. They reflected on their challenges and success, how China has changed, and what westerners don’t fully appreciate about doing business in China. Judy Zakreski – VP U.S. Operations, Chindex (1994- 2015); currently Executive Vice President, EkPac China Inc. In the early 1990s, most observers dismissed Chindex International’s efforts to establish UFH as a radical, impossible dream. A private, foreign-invested western hospital in China had no precedent, and lacked a clear path to approval. The core team of UFH executives I spoke to unanimously agreed that in these early years, Roberta Lipson’s vision – and the “can-do” spirit she infused in those around her – carried the organization. 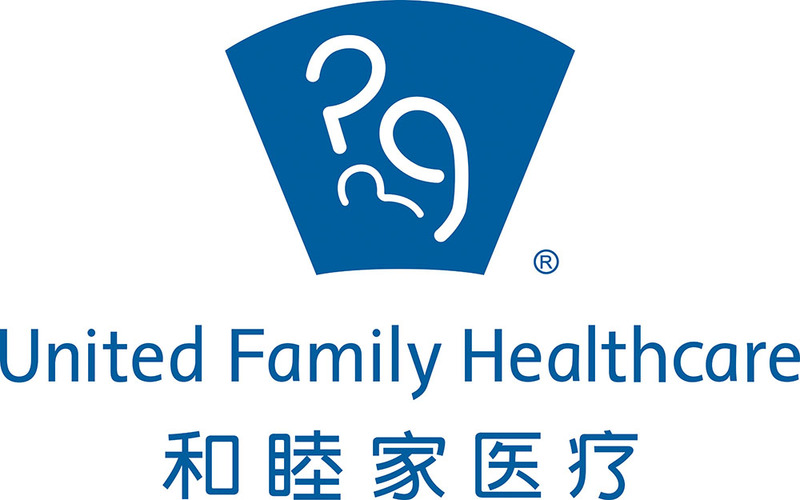 “[Setting up Beijing United Hospital] was truly unique and is directly related to Roberta’s perseverance,” said Robert Goodwin, EVP and General Counsel. In fact, the team originally received approval for a birthing center, focused on serving expatriates – a deliberate strategy to start small and build trust in China, before expanding the scope. As UFH established a track record and market demands evolved, the center became a women and children’s hospital, and subsequently grew to a network providing a full range of healthcare services. No one on the core team imagined UFH would be as big or successful as it has become today. While China’s growth did not surprise them, the velocity and scale of the country’s economic transformation caught them all off guard. The willingness to show humility and admit they didn’t see what was coming, the executives all stressed, should be a requisite for any westerner who plans to work in China. All credit those early years, and doing business in China, for making them nimble, resolute and creative in conducting business – key skills to surviving and thriving in their careers since. In the early 1990s when Chindex raised financing, the company declared its goal was to create a multi-hospital network. While that was known by the core team, they admitted to a maniacal short-term focus on getting the first hospital in Beijing up and running. “I always assumed BJ United would be successful. Not only was that the Chindex mindset but I couldn’t imagine not meeting our publicly announced plans,” said Goodwin. Fostering a strong partnership and agreement with their joint venture partner, Chinese Academy of Medical Sciences, took close to a year. Ensuring Chinese approval authorities understood how the hospital would fit into China’s healthcare system – and getting approval – took close to two years. And making sure the right steps were taken to design and build a world-class healthcare facility spanned close to three. Several observed that this “short-term” focus helped Chindex and UFH avoid the trap many multinationals fell into at the time and still fall into today: Perpetually labeling China a long-term market becomes a handy rationale for letting losses pile up or clinging to a business model or strategy that isn’t working. Lacking deep financial resources, they reflected, forced the team to be incredibly resourceful. For example, they did not use an army of highly paid consultants or intermediaries. Conducting much of the fieldwork themselves gave them direct exposure to market realities, enabling them to make decisions more rapidly. Goodwin, Xie and Zakreski firmly believed that the hospital’s strong foundation was due to establishing a strong joint venture partnership and securing the early licenses and government approvals. “There were a continuing series of challenges to be solved on a regular basis but, to my mind, none of them was unusual in a project of this nature,” said Goodwin. What helped the most, he reflected, was Lipson’s and Chindex’s reputation within the Chinese medical community. At the time of UFH’s founding, Chindex had been operating almost 15 years in China, providing medical equipment to China’s top hospitals and having established a formidable track record of honesty and genuine concern for improving healthcare in China. “Chindex was always unique in approaching the market from the perspective of how can we help China do what they currently do better,” said David Hofmann, Administrative Director at the time. The early work was making sure the Chinese authorities understood how UFH would fit into the Chinese healthcare system, and what role it would serve. Of course, not every western company enters China with 15 years of relationships under its belt. Xie, the VP of Business Development, is highly skeptical of how westerners approach China, which he feels is based solely on reading the relevant rules and regulations. He advises newcomers to take more time to determine what national or regional authorities want out of a relationship. He himself spends significant time cross-referencing information with people in the know. Zakreski, who now advises companies that face complex regulatory needs, concurred. She recommends having someone on the ground in China engaging key stakeholders, which is hard do from one’s home country. She added that having some level of guanxi (relationships) is important, because it allows a constant flow of nonmarket information. Hofmann emphasized that the goal setting up Beijing United Hospital was not to stand out; it was to build lasting relationships, something that Pan, the current GM, and Xie agreed with. They all emphasized the need to have continuous efforts placed on managing key relationships, citing how many western organizations make the mistake of focusing solely on the setup phase. After Beijing United opened in 1997, Pan’s work, for example, began in earnest: She kept in constant contact with local authorities to understand their points of view, their concerns and to seek advice. Forming industry groups and staying in touch with the American Chamber of Commerce enabled the team to influence policy direction on a larger scale between the U.S. and Chinese governments. It’s no coincidence that Lipson, Goodwin, Hofmann and Zakreski have held a variety of roles over the past 30 years with the U.S.-China Business Council, the American Chamber of Commerce, or interest groups based in Washington, D.C.
On the China side, Pan serves as the only Chinese representative on the JCO, the top international hospital accreditation commission, which helps set international healthcare and hospital management standards. And she, Lipson and other UFH hospital leaders are increasingly sought after by Chinese healthcare officials for their advice on improving China’s healthcare system. The executives I spoke to average 25 years of doing business in China, but they surprisingly shied away from making any blanket statements on how Chinese culture operates. To understand that Chinese cultural framework, the executives were critical of many “cross-cultural” training, finding it shallow, or downright dangerous in the stereotypes people came away with. They stressed that relationships between and among people play a larger role in China than in the U.S. and Europe, which tend to be more “legalistic” societies where rules assume more importance. To break down cultural barriers, Goodwin puts many of his executives and students through simulations and negotiations, to help them see what their Chinese counterparts may be facing. Xie encourages executives to talk to people on the ground to get multiple reference points. Hofmann highlighted the need to recruit people with a more global mindset, and to foster more cross-border exchanges. Early on, UFH’s Chinese partner, the Chinese Academy of Medical Sciences, sent its representative, Dr. Zeng Su, to visit the U.S. to better understand the UFH vision and model. Dr. Bian, having spent time in the U.S., also helped bridge the two healthcare systems. Hofmann and the team also brought western doctors to China. To accelerate “acculturation,” Pan, the Beijing United Hospital GM, gets new UFH employees out of the classroom and into Chinese hospitals. She wants her western employees to see more of China’s healthcare system, so sends them to VIP wards, Tier II and Tier III hospitals, so they can experience firsthand the top and bottom of the Chinese healthcare system. As the patient base at UFH has become increasingly Chinese, she added, it has become increasingly imperative to train UFH staff in this way. For example, elderly Chinese are much more inclined to want their daughters to schedule C-sections, which often runs counter to the desires of their western-influenced children. Across industries, western executives struggle with how to best segment the Chinese consumer market, maintain their brands and meet local needs. Americans, reflected Goodwin, do not appreciate the speed of change that has occurred in a generation in China, and therefore find this challenge to understand Chinese attitudes incredibly difficult. “All our patients are well-off and regional differences not so stark,” said Pan. “But in general, we see the biggest divide among generations, and between those who have a more international outlook versus those who have never left China.” Training their doctors to manage these differing expectations has been critical to ensuring patient satisfaction. To fully prepare staff, UFH created an academy, a prestigious yearlong program for registered nurses, to instill and practice the network’s ICARE values. During my visit, I attended the graduation of more than 20 nurses, their largest group to date. The curriculum was designed by a blend of western and Chinese nursing professionals. Without this academy, UFH could not find the right talent and skill in the marketplace, Pan commented. Hofmann, now based in Washington, D.C., remains surprised how many westerners continue to believe China is the land of cheap labor and is backward in terms of technology, when in fact the opposite is truer, particularly in Tier I and Tier II cities. Pan said wage differentials between her top western and Chinese staff no longer exist. In fact, some of her top Chinese get paid more. Pan also attacked the myth that Chinese millennials are selfish and lack drive. To stay in touch with that generation born after 1990, she conducts lunches with many employees, and is highly active on Weibo, the Chinese social media equivalent to Twitter. At the same time, they all agreed, one can be too culturally sensitive. They all attacked a common sentiment that you cannot be direct in China, and that certain topics are taboo. Goodwin, the lawyer, warned: “You just need to do [be direct] in the right context.” Zakreski urges all clients to determine “non-negotiables” and stick to them. On the subject of competition, all noted that while the number of competitors has heated up, the market has also grown considerably and the level of sophistication varies. Well-heeled western firms are the most direct competitors, but UFH recently went private and raised additional investment from the private equity group TPG. They believe UFH can remain the market leader if it continues to deliver quality care and attract the right talent. They believe the threat of domestic private competitors is overblown, and that UFH competes in very select, high-end healthcare, a space where local firms have not shown they can go – yet. The more serious threat, said Pan, is the rise of China’s state-owned public hospitals, and Xie added the Chinese government has gotten very serious about addressing the country’s healthcare needs. Everyone agreed that doing business in China remains complex. Managing this requires talent. On the bright side, they observed that there has been an increase in western executives who have a better understanding of China, as well as firms that have almost entirely localized their China offices. No one wanted to predict China’s future. The irony, said Zakreski, is that the reduction of tariffs and “openness” that came with China’s entry into world bodies has largely felt like it has been accompanied by an increase in regulatory hurdles. “This doesn’t mean that there isn’t opportunity for western companies in China. It just means that there is no longer a default approach of finding a distributor and exporting your product to China,” she said, citing licensing technology as one alternative. Overall, the executives voiced concern with the increased nationalism and growing restrictions, but also said that every period of China’s past 30 years has been filled with concerns! They believed staying to a core mission, being persistent and adaptable, and fostering talent – the same things that got them to where they are now – are the best ways to manage future change and deepen UFH’s premium service and established brand.